Spray 40 'Florissant' sailing off Australian coast. 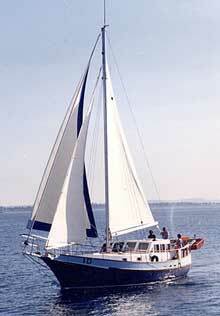 There are over 4,000 Bruce Roberts Spray's already sailing worldwide plus another 1000 currently being built. We have been willing to listen to every combination of idea's about this wonderful boat and several layouts have been drawn. Many of these features are interchangeable between the various versions. You can choose to build this design in multi chine steel or aluminum. Many of these Sprays have completed complete circumnavigations some more than once & usually with crews consisting only of two persons ! L.O.D. 12.19 m 40' 0"
L.W.L. 9.73 m 31' 11"
BEAM 4.37 m 14' 4"
DRAFT 1.27 m 4' 2"
Steel or Fiberglass Bmu. 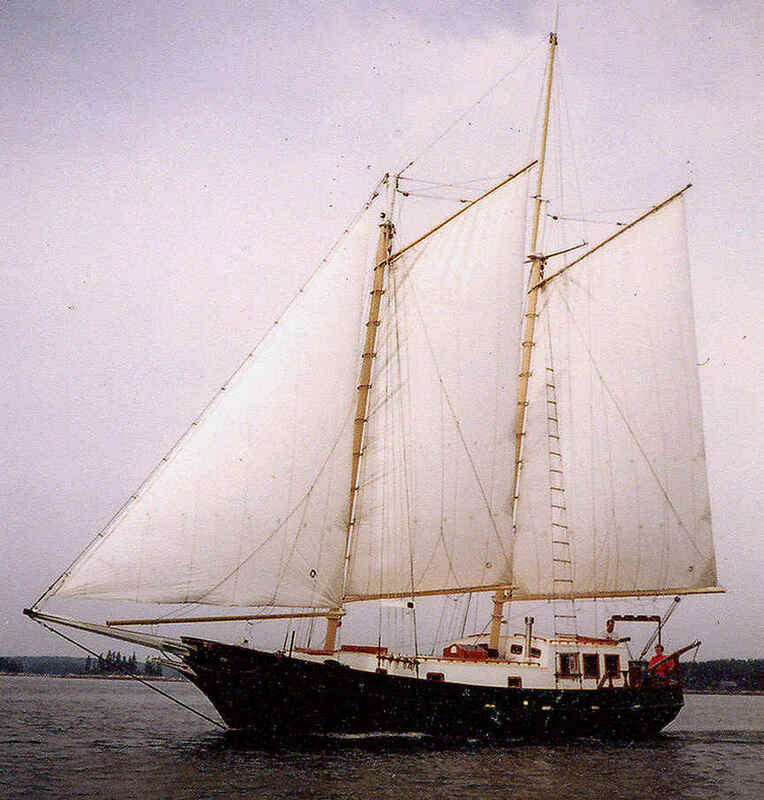 Ketch shown. Gaff Cutter & Junk rig etc. 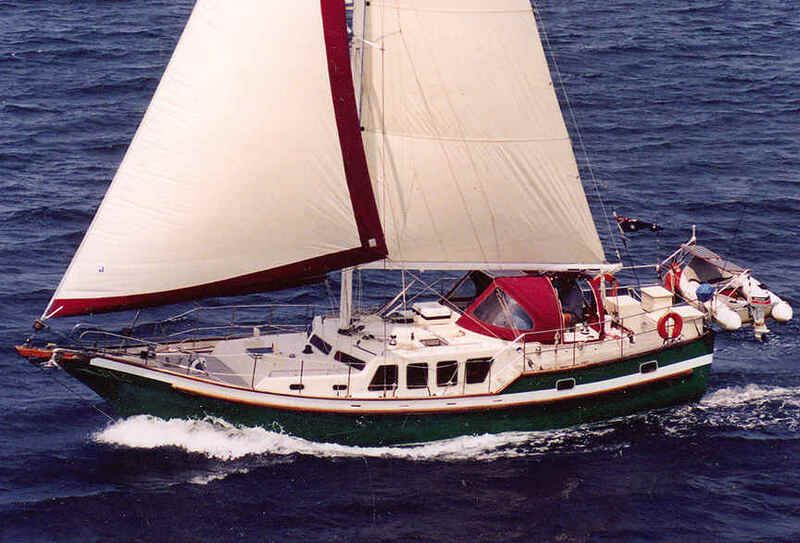 Hi Bruce, we just sold (a bitter-sweet moment) our Bruce Roberts designed Spray 40 in a slightly modified Spray 42' (LOD) that was built by a South-African German naval engineer O.L. 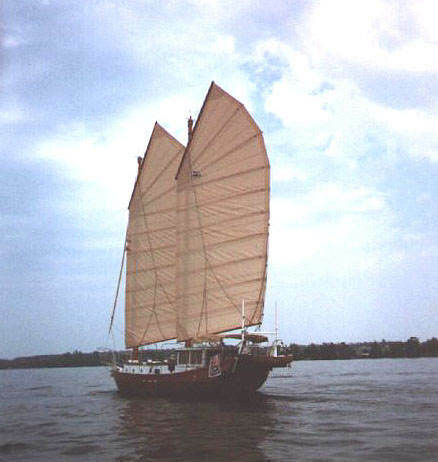 Silvester in the mid 70s and launched in 1984 (see picture attached). 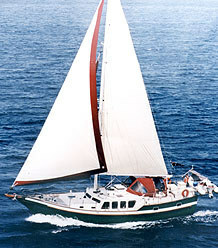 Heritage was built using the C-Flex method, and I must say, even in tough weather, we never so much as experienced a shudder from her; we absolutely love the design, especially the hull shape, and very stable sailing properties, but sold her mainly because we are looking to up-size to accommodate a family of 4. 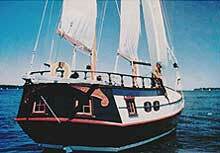 The deck layout for the Spray 400 A; a small 'dog house'over the companionway is an option. Suggested accommodation layout that with small modifications will suit either the A or C versions. The study boat plans and the boat plans that come with the kit or cutting files have other optional layouts. ‘I left Brisbane for Mauritius, a voyage of 4500 miles and about 2000 miles off the Australian coast I had trouble with my appendix. 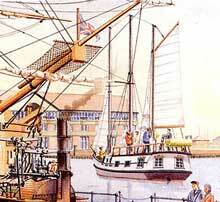 I lay in my bunk for five days with all sail up, with a rising wind; Spray steered herself. 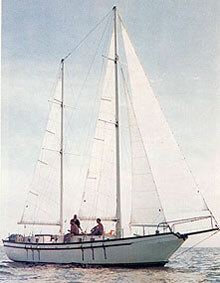 Hi Bruce, I sailed on the first 'Spray' you designed built by Charlie Jupp across the Pacific years ago. A cyclone done its best to pull the boat apart and loosing the rudder back-sliding down waves didn't help. Still, Spray did get us to land safely for which I hold the boat in high esteem. I have since owned several boats myself and sailed many oceans but never experienced anything such as what Charlie and I went through on that one particular leg. I am telling you this story because I want you and your customers to know of the incredible integrity of the Spray. In our knockdown, I think the masthead touched the sea, and yet she rolled back up with no damage done, except to the captain’s pride. 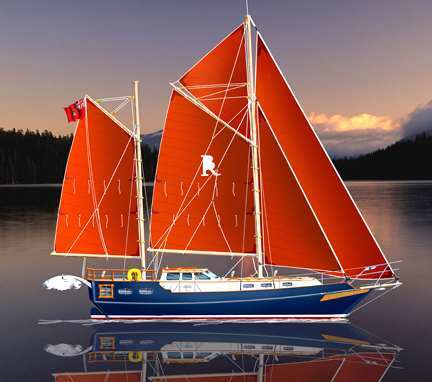 The junk schooner rig is ideally suited to the Spray 400 - the boat plans that come with the kit or cutting files show several alternate rigs including Cutter, Ketch, Junk rig etc. Hi Bruce, Thanks for the quick reply. I enclose pictures of my Spray and some editorial that the local paper ran after I brought her back from Copenhagen earlier this year. She is out of the water at the moment as there are a number of modifications that I want to make. We are due to re launch in April of this year. I have found her to be very comfortable on the trips that I have made so far with my limited knowledge of sailing as all of my previous boats have been Motorboats. 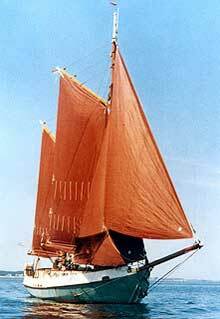 I find her to be ideally suited for two to live aboard and she gives the impression of immense strength, and well able to look after the crew as I found out in the North Sea! Kind regards Mick Taylor. 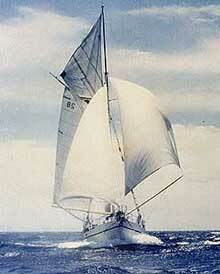 This Spray 40 was built in Australia & has been used in the charter trade. This Spray 40 cruised extensively including a long trip to Antarctica. This Spray 40 was built in Australia and cruised world-wide.